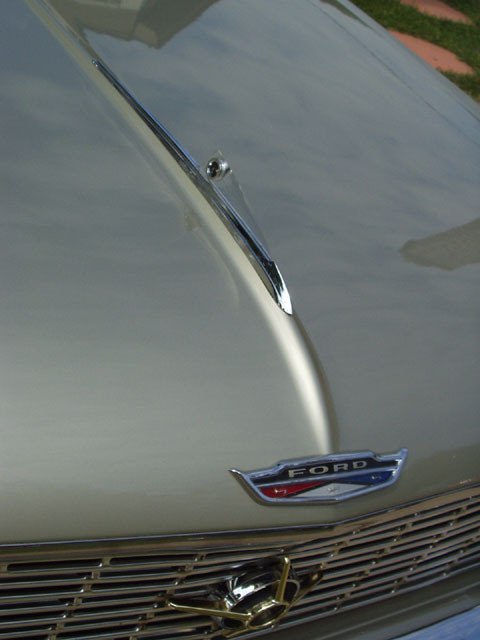 I am often asked "how many B, G or M code cars were produced in the 1962 production year?" I am not aware of any records that provide this information so the answer may never be known. Of importance however is that nice original and restored examples of these cars are rare and command premium prices. A number of ’62 Galaxie guys make “clones” of these great Muscle Galaxies. Nothing wrong with that but if you’re in the market for a genuine B, G or M code car, verify the authenticity before laying your money down. High Performance Engines were not available with Station Wagons. However, it may be possible that in some rare instance one or some were produced with one of the HP engines. There are examples of normally unavailable options being installed when some customer was willing to pay the extra cost, and wait the extra time to have it added. 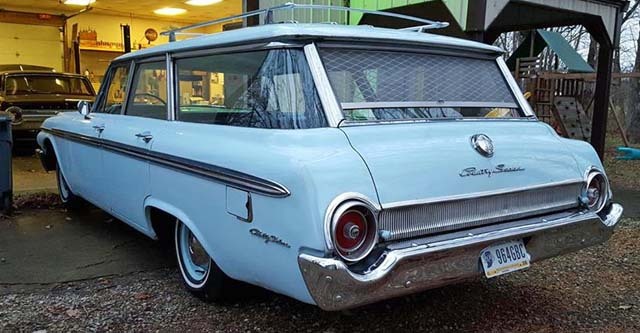 As examples there were a few 1963 Galaxie station wagons produced with the XL package, and one 1967 Country Squire with the XL package and 4 speed. The vehicle base price included the 138-hp 1 bbl Mileage Maker Six engine, V Code. 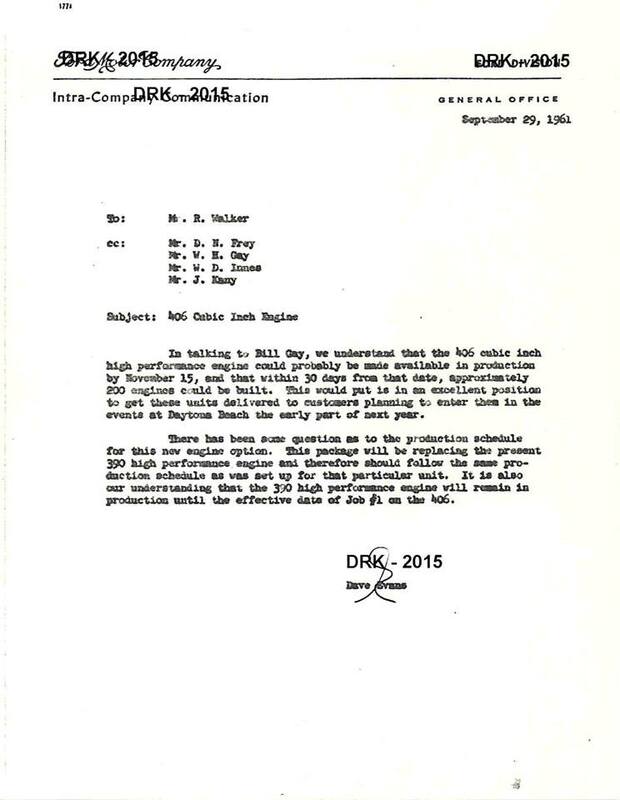 Note: The M code and Q codes were phased out near the time the 406 B and G Code engines became available between late December of 1961 and early January of 1962. Dennis Kolodziej saved these from work years ago and we thank him sincerely for permitting us to use them in the Registry. Although we still don’t have documentation for the exact Q, M, B and G code production numbers this Internal documentation about 1962 High performance engine build numbers gives us a general idea of the total. 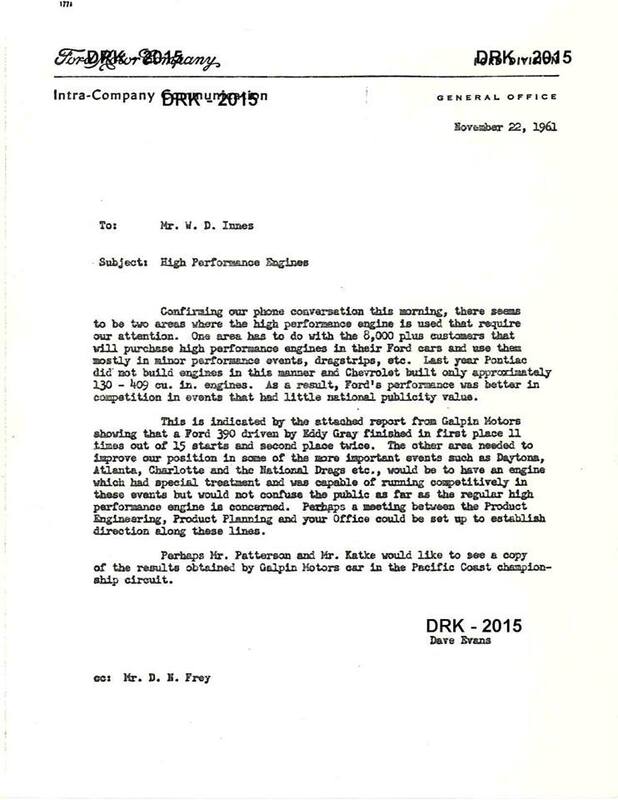 The Ford internal documents on transition from 390 to 406 high performance engine in late 1961 for 1962 Ford are interesting and historically important to the 1962 Galaxie enthusiasts. Thanks to John Rotella director of www.Lovefords.org for providing these pages from the 1962 Ford Salesman's Guide. *Five Police Interceptor cars equipped with the 390 Police Interceptor engine were sold in April of 1962 to the State of South Dakota by Rozum's Ford in Mitchell, S.D. (See the Registry's Police Cars page ) These cars had engine codes of Z in the VIN. The cost of the engine and other special interceptor options does not appear on the invoices for these cars. The P code does not appear to have been officially used until 1963. 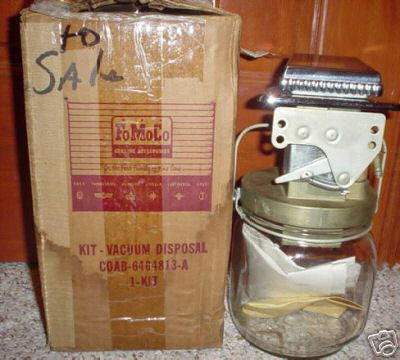 The 4 barrel carburetor used on the high performance 390 (Q code) and 406 (B code) is a Holly with part number C1AE-9510-AM. The main jet is a 66, the secondary jet is .078” and the power valve is a 65. 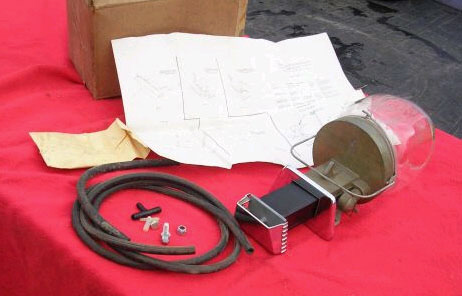 The C2AF-9510-U, AM, Y, AN, Z and AR 4 barrel carburetors used on Police Interceptors were Ford, not Holly. The Six Barrel setup on the 390 (M code) and 406 (G code) engines used three Holly two barrel carburetors. The center or “inboard” carb is the Primary and the two “outboard” carbs are the secondaries. Part numbers are Primary – C1AE-9510-AV , Secondary – C1AE-9510-AU The main jets on the Primary are 61 and on the Secondary are 66. Only the Primary has a power valve and that is a 65. The base price was with 3 speed stick on the column. Update 8/28/2010: All of the 1962 Ford literature states that the 4 speed transmission was required with the G-code, 406 Thunderbird Super High Performance V-8 engine option. This was because the Cruise-O-Matic transmission (transmission code 4) was unable to handle the additional power and/or torque of the mighty 406 engine. 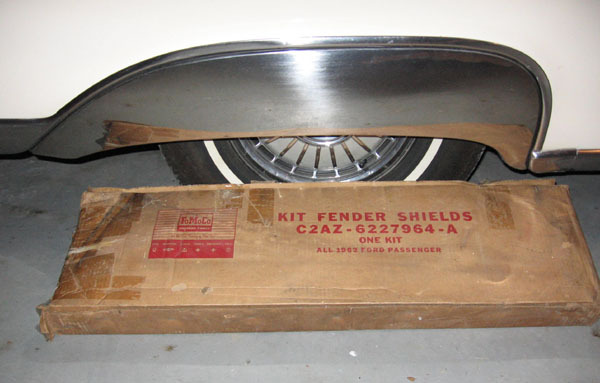 Tim Warfield, Registry entry 445, has supplied the Registry with a patent plate and build sheet showing that 2J67G158180, built around April 16, 1962 in the LA Assembly plant, has a transmission code of 4 indicating a Cruise-O-Matic. The DSO of 710467 tells us that this was a special order car. The build sheet, provided with entry 445, has even more info on the transmission and axle combination. John Rotella, who founded and maintains the LOVE fords Forum http://forum.love-fords.org/ makes the following statement regarding this car. “It could very well be that the "4" automatic transmission installed on this car, noted on the build sheet as "HD DUAL RANGE TRANS" is actually the Lincoln's Twin Range Turbo-Drive which was a heavy duty version of the Cruise-O-Matic/Multi-Drive Merc-O-Matic.” “This spectacular 1-of-a-kind 1962 Ford is further proof that when presented with a pre-sold special order, Ford would likely build almost any car regardless if it crossed the bounds of "factory specifications". This is a very rare and probably a one of one 1962 Galaxie. A recirculating-type air conditioner with 3-speed blower. Available only with V-8 engines when factory installed, available with Six or V-8's when dealer installed. Combination air conditioner and heater-defroster with 3-speed blower. Available with V-8 engines only. Cars equipped with 352 2V or 390 4V Engine and Air Conditioning, and all Station Wagons, had 8.00 x 14 4 p.r., BSW Tubeless Tires as Standard Equipment. All others had 7.50 x14, 4 p.r. BSW Tubeless Tires as Standard Equipment. Nylon Tires were the only tires available with High Performance Engines. * White Side walls were approximately 1 1/4 inches wide. Standard equipment was the Dog dish hubcap. 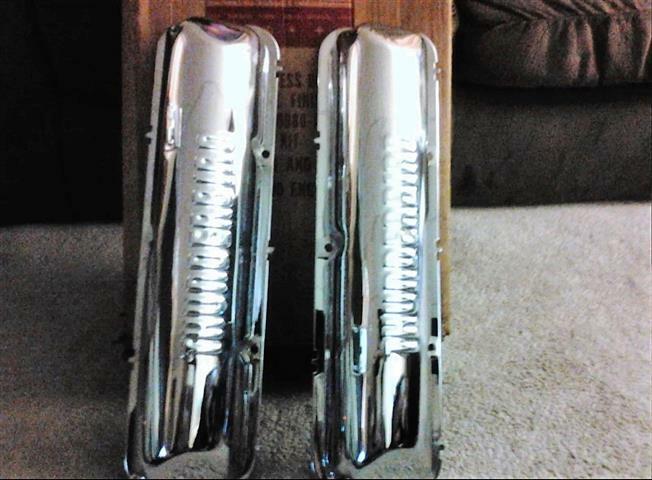 G Code Galaxie 500/XL wheel covers. 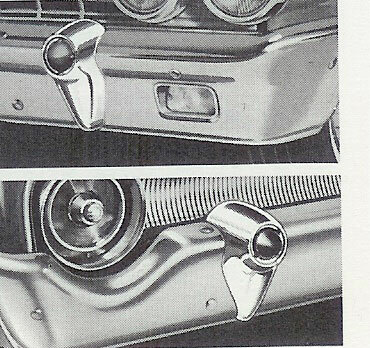 The March-62 Galaxie brochure states "A second wheel cover design for 15 inch wheels is part of the special equipment package with the 406 V-8s on Galaxie 500/XLs, and optional equipment when 406 V-8s are ordered on Galaxies and 500's." Photos of this "second wheel cover design" are not included in the brochure. 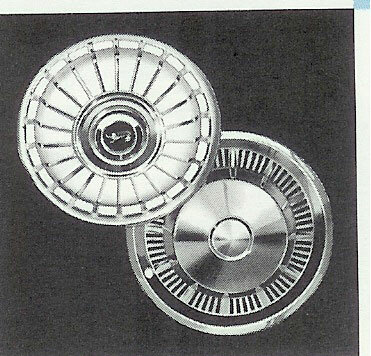 Being upscale luxury cars, having 15 inch wheels, the 1962 G code Galaxie 500/XLs did not come with the dog dish hubcaps that the non-XL G code cars had. 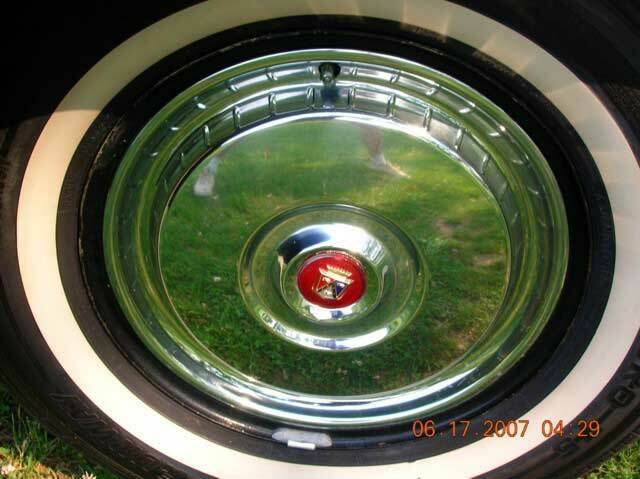 The wheel covers shown are on Registry entries 168 and 84, both G code XLs, and are the originals. The real surprise regarding these wheel covers is that the 1962 G Code XL wheel cover is a re-issue of one of the 1956 Victoria and T-Bird wheel covers. 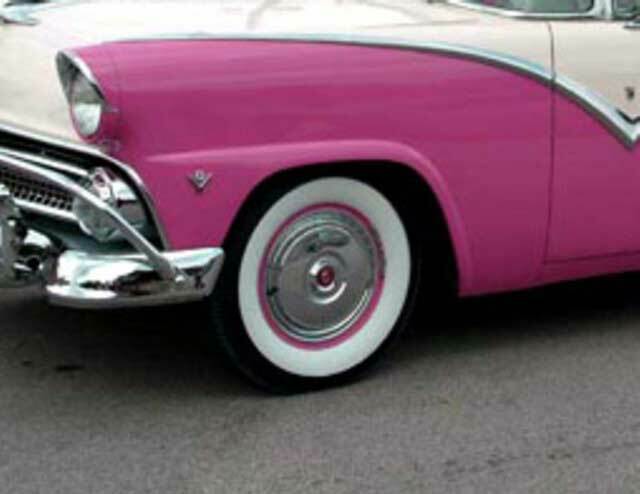 One is shown on the pink ’56 Victoria. This 56 re-issue would be a correct option for non-XL G Code cars as well. 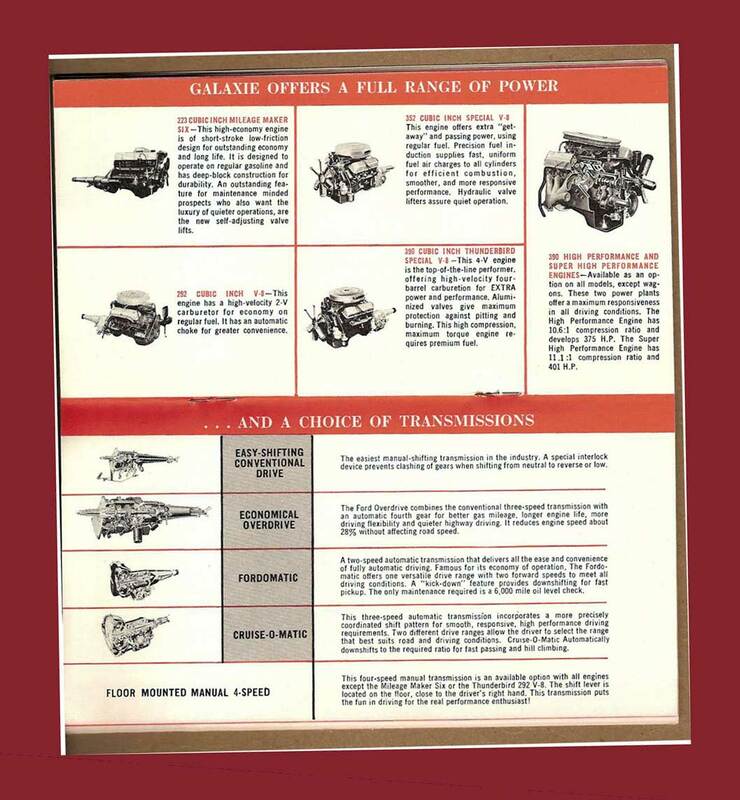 The 3-62 Galaxie brochure states "A second wheel cover design for 15 inch wheels is part of the special equipment package with the 406 V-8s on Galaxie 500/XLs, and optional equipment when 406 V-8s are ordered on Galaxies and 500's." Photos of this "second wheel cover design" are not included in the brochure. If anyone can provide documentation and/or photos as to the wheel cover style of the first G Code XLs, the Registry is very interested in displaying that information. Vacuum-operated power brakes reduce pedal effort up to 55% The words "POWER BRAKES" are molded into the black rubber brake pedal. Two tone paint is not available for Sunliners or Country Squires. 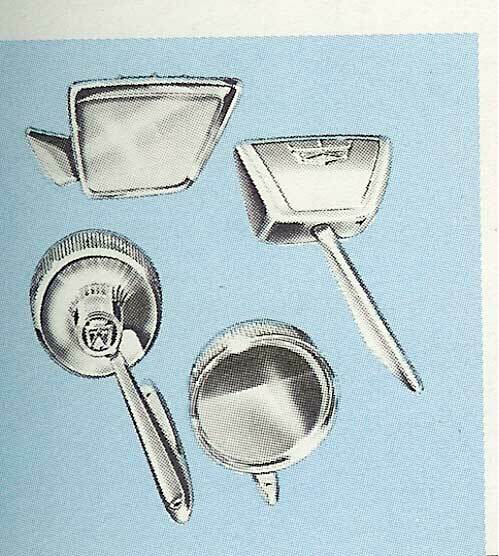 Washer available separately from dealer for single-speed electric wipers. Factory installed as part of 2-speed electric wiper option only. 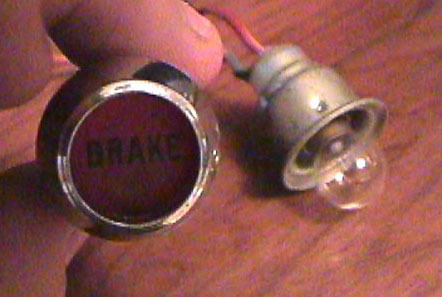 Round accessory lights are inset in center of circular taillights. Front C2AZ-6261200-A(black), -B (gray), -C (green), -D (brown) , -E (lt. blue), -F (dk blue), -G (white) -H (tan), -J (red). Rear C0AZ-6461200-A thru J (same color suffix letter). Front belts attach directly to built-in floor anchors and are factory or dealer installed. Rear belts are furnished with anchor parts and are dealer installed only. Includes padded instrument panel and sun visors, not available separately, and sun visor clips. **All cars are equipped with fresh air heater unless buyer requests it be omitted, in which case amount is subtracted from price of car. 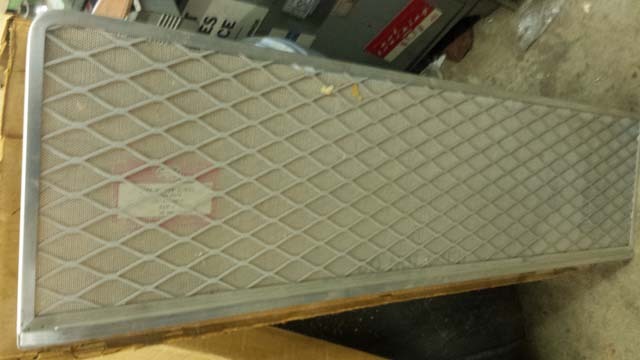 For Recirculating heater in place of fresh air heater, deduct amount shown. 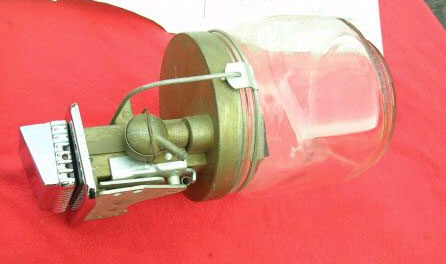 A vacuum-operated drawer-type litter tray that automatically "swishes" litter into a special glass jar concealed beneath the instrument panel. This was a Dealer installed option that is extremely rare. Many thanks to Jim Holmes for providing these photos of a truly NOS unit. Rear Seat Speaker C2AZ-18875-A. 11.95 Located in package tray. 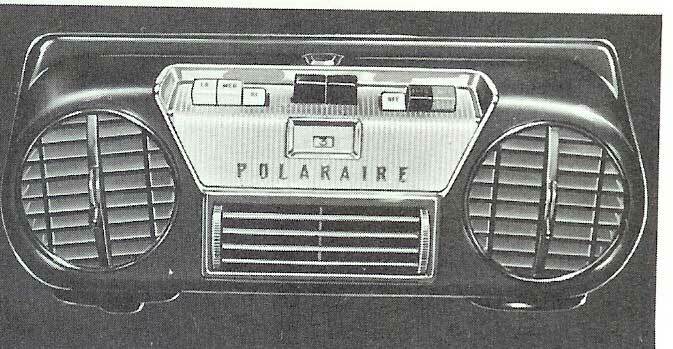 Three way control varies volume of either front or rear speaker, or both speakers for full tone fidelity. This is a very rare item. See one on Registry entry 57 on the Registry Photos page. The Registry thanks Joe Abela for the photos of this hood emblem. Joe's Galaxie is Registry entry 171. Consists of the following eight chrome-plated parts: Air Cleaner Cover, Fuel Filter, Right and Left Valve Covers, Oil Breather Cap, Oil Level Indicator (dip stick), Fan Guard, Master Brake Cylinder Cover. A special thanks to Jim Holmes for supplying pictures of the actual parts in the kit minus the dipstick tube. 3-Speed Floor Shift Conversion Kit C2AZ-7A082-A. 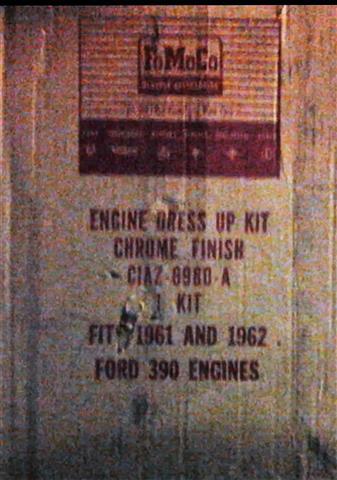 The kit contains chrome retainer ring, rubber boot, dummy shifter tuve and sheet metal cover. Available for '60-'63 352 and 390 C.I.D. engines. 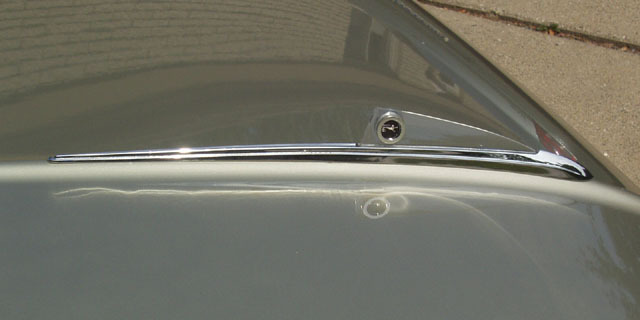 Remote Trunk Lid Release C0MB-6632A00-A Mounts on side of driver's seat. Standard on Thunderbirds and available as a dealer installed option on all Galaxies and station wagons. Tissue dispenser C2AZ-19A549-A 3.95Mounts under glove compartment. Dealer installed. Tool Kit B7A-17003-A Soft, leatherlike case carries 3 open-end wrenches, conventional and phillips screw drivers, ball peen hammer, and pliers. Dealer item. 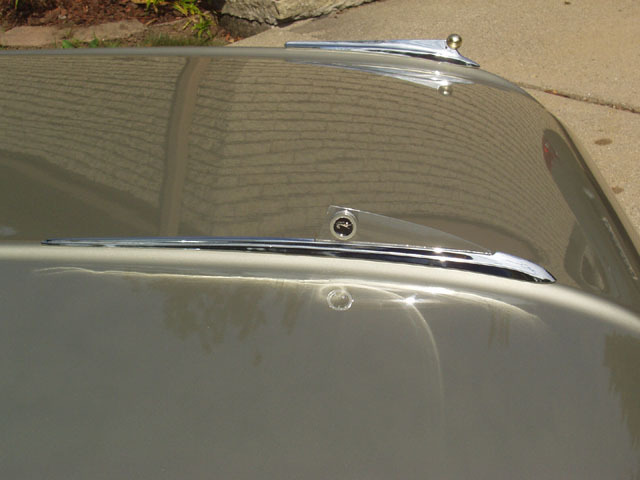 Vinyl Toneau Cover for Sunliner - This item is not been found in any Ford option listings but exists on at least one Sunliner. It may have been an aftermarket addition. A must installation on cars used in competitive events where every "shaved" pound means extra speed. This new light-weight kit allows an approximate 164 pound weight reduction for Galaxie Standard sedans and convertibles. For stock 1962 Galaxies with a 406 engine and a 4-speed transmission , this means a 4% decrease in total curb weight. Aluminum structural parts and fiberglass skin keep the Galaxie lean and in ready racing form. 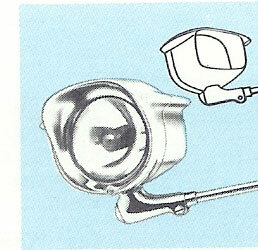 Replace-able parts are pre fitted for quick installation. as the convertible door is shorter. We thank Jim Holmes for his long time support of the 62 Ford Galaxie Registry. 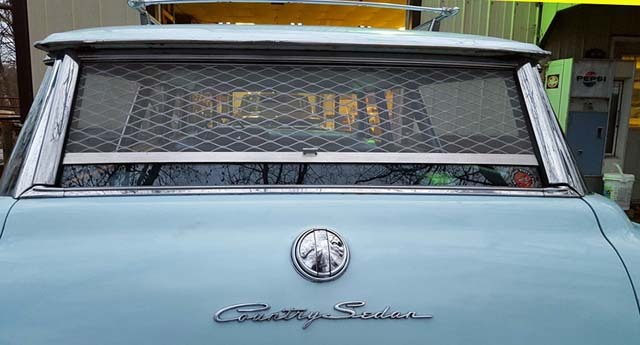 He has provided photos of a little known option for station wagons; A rear window screen. 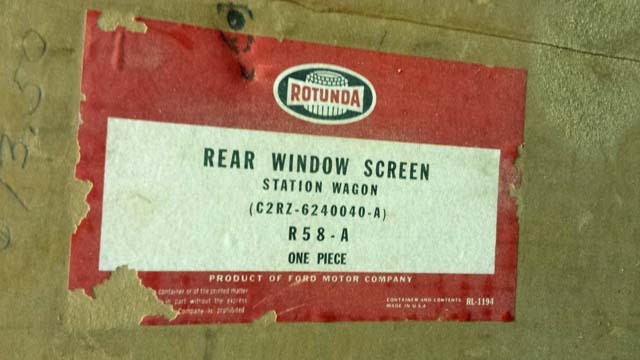 Jim sent it to Dave Coleman who installed it on his Country Sedan Wagon.